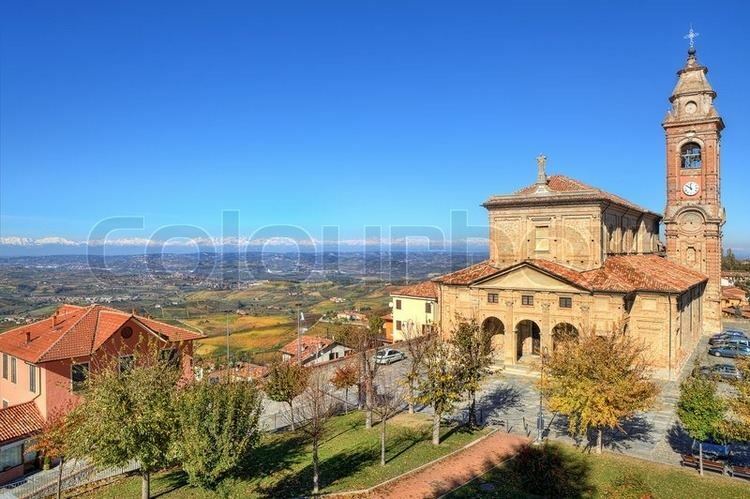 Alba (Latin: Alba Pompeia) is a town and comune of Piedmont, Italy, in the province of Cuneo. 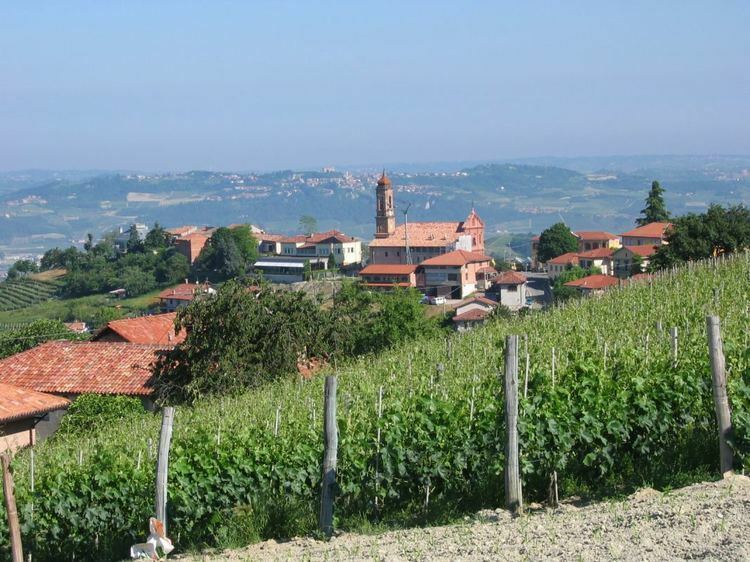 It is considered the capital of the UNESCO Human Heritage hilly area of Langhe, and is famous for its white truffle, peach and wine production. The confectionery group Ferrero is based there. The Palazzo Comunale (13th century, housing a Nativity by Macrino d'Alba of 1501) and the Bishop's Palace. 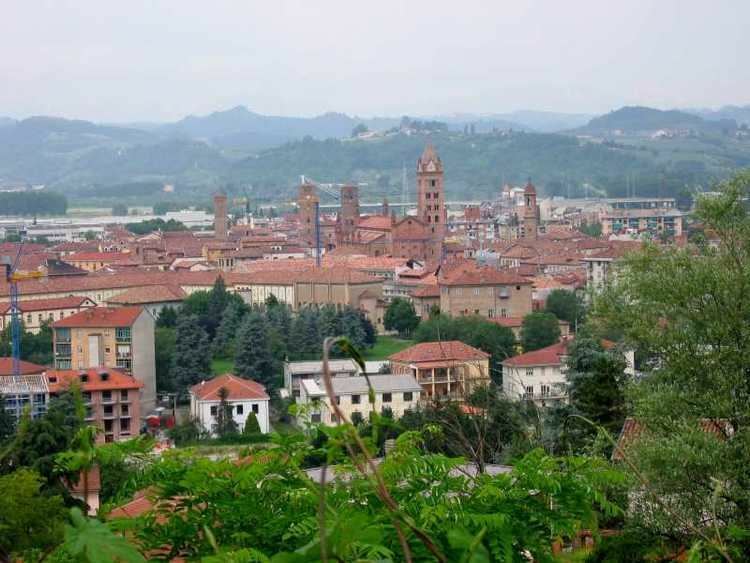 Some towers of the 14th and 15th centuries: Alba was once known as the "City with hundred towers". the Romanesque Alba Cathedral of San Lorenzo (Duomo), built in the 12th century, probably over holy edifices of Roman age. It was restructured in the 15th century, by bishop Andrea Novelli, and again in the following centuries. The current appearance is from the controversial restoration of the 19th century, of which the three portals and the crypt are from the original edifice. The church is well known for its wood-carved chorus made in 1512 by Bernardino Fossati. The current belfry, from the 12th century, includes entirely the original bell tower. The Gothic church of San Domenico (13th through 14th centuries), the most artistically relevant church in town. It has a noteworthy portal with a triple arch within a pointed arch, a polygonal apse and traces of Renaissance frescoes. During the Napoleonic Wars it was used a stable, and was reconsecrated on 22 June 1827. The Baroque church of St. John the Baptist, housing a Madonna of the Graces (1377) by Barnaba da Modena and a Madonna with Saints (1508) by Macrino d'Alba. The city museums include the F. Eusebio Municipal Museum of Archaeology and Natural Science.